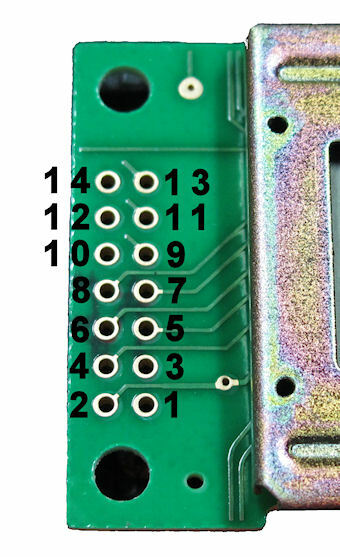 As you can see, there is a 14 pin interface on the left of the module (as seen from the lcd face), below is the pin numbering for these. 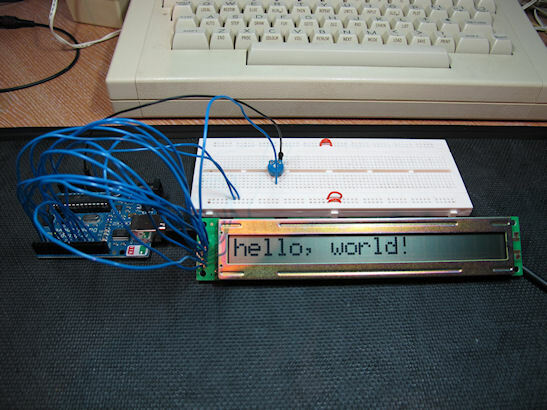 Read/Write, Set this pin to HIGH (1) to read data from the display. 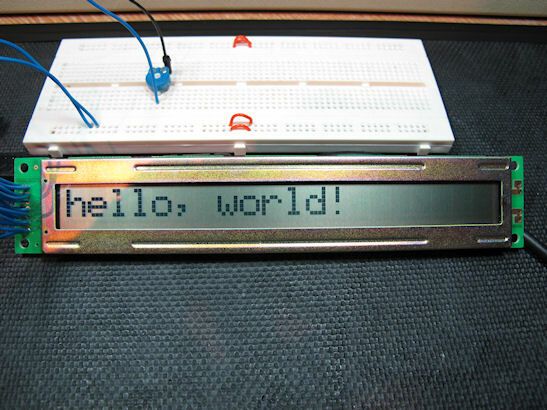 Set this pin to LOW (0) to write data to the display. If you don’t need to read data from the display and will only be updating it, then you can tie this pin to ground. 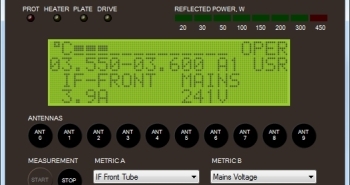 Enable pin, This line works to clock in data and commands. As you will notice, LCD pins 7,8,9 & 10 are optional more on this later. Luckily the arduino has a library called LiquidCrystal that is compatible with the HD44780 controller, so we will use this for the example. If you are using a the raw Amtel AVR or PIC microcontroller then you will need to refer to the datasheet for the protocol, or possible inspect the LiquidCrystal arduino library (they are all written in C so they are quite portable, albeit designed for usin on an AVR micro). Now i mentioned earlier that four of the LCD pins were optional, this is because the LCD can be controlled using 4-Bit mode, this is also supported by the LiquidCrystal library and the code to do this is below, essentially the only change is to the constructor of the LiquidCrystal object. Yes that is an Acorn Electron in the background 🙂 part of a long term project of mine. I hope this is useful to anyone else who may have got some of these LCD’s from ebay. (Sorry to the PIC or AVR people, especially the Assembler guys but you should be able to translate from the arduino code into whatever platform you are using).